Hey guys, I’m back with yet another book review! 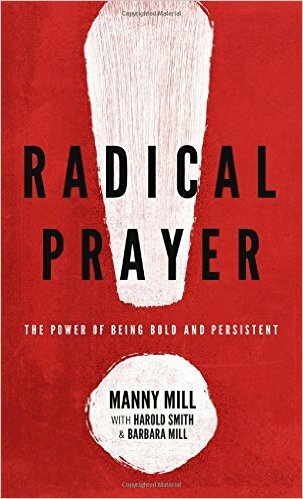 I recently finished Radical Prayer by Manny Mill, which I received from Moody Publishers. This book is all about the power of prayer, how we should pray, and how the author has seen God answer his radical, bold prayers. We pray radically so we can love radically! This book was so great in helping me to understand the need for radical prayer, and it gave tons of examples of these bold prayers being answered in truly amazing ways. Each chapter starts with a prayer and then outlines a concept of radical prayer. Though short (I read this is a day), it is still super impactful. The book itself is of high quality. I have a paperback edition, and it is smaller than the standard paperback size. The cover feels really nice (I’m a sucker for books that feel nice in my hands) and I really love the image on the cover. I really enjoyed this book! Normally when I love a book, I keep it, but in this case I think I’m going to pass it on to a friend. I just want as many people as possible to read and learn from this book. I gave Radical Prayer 5/5 stars. There wasn’t anything that I disliked about this book. It was really well written and informative, as well as being a really interesting and enjoyable read.